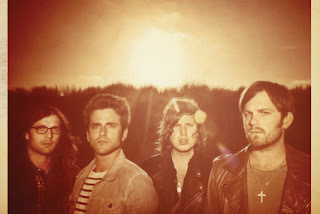 After the half show in Dallas last week and the cancellation of the couple of shows after that, The Kings of Leon have decided to cancel the remainder of their shows in the US so that lead singer Caleb Followill can get some rest and recoup from whatever the heck is going on with him. Check yourself before you wreck yourselves boys. We are so sorry to say Kings of Leon are canceling their entire US tour due to Caleb Followill suffering from vocal issues and exhaustion. The band is devastated, but in order to give their fans the shows they deserve, they need to take this break. Unfortunately, the US dates cannot be rescheduled due to the band's international tour schedule. Tickets will be refunded at point of purchase. Tickets purchased online or via phones will be automatically refunded. The band will resume touring in Canada at the Rogers Center in Vancouver, BC, on September 28th. That show was originally schedule for September 14th. Whew, well I guess that means that they are still going to be in Calgary on Sept 30. Holla. UPDATE: There are various reports going around that the rest of the band is urging lead singer Caleb Followill to check into rehab for an alcohol addiction. Fack that is sad. Why are addictions and entertainment more often than not synonyms.